This article is part of PR News&apos; series of mini-case studies showcasing successful agency/client partnerships. The Chicago Community Trust was founded in 1914 over a meal shared by influential Chicago residents who shared a desire to make the Chicago area a better place to live and work. As the organization—which is "dedicated to improving the region through strategic grant making, civic engagement and inspiring philanthropy"—approached its centennial year, it saw an opportunity to revitalize the concept of a mealtime conversation as a necessary starting point in making tangible change. The Chicago Community Trust tapped the communications expertise at Jasculca Terman Strategic Communications to not only elevate the trust’s visibility as a grant-making organization, but to emphasize the community foundation’s deep commitment to the Chicago area and its residents. To bring these mealtime conversations to residents and community activists, the partners teamed up with a design firm, Galambos + Associates, to spread the word throughout the city and beyond. The partners developed and finalized the event concept, branding, website and messaging and outreach in support of the plan to engage over 10,000 Chicago residents in over 1,000 individual mealtime conversations across the area. Knowing that this would be no easy task, the partners looked to the media for support. They sought more than coverage— they wanted the media to be an active participant in the dialogue. They set up meetings with top executives at dozens of print, broadcast and online outlets to get their commitments to host their own mealtime conversations. The trust and Jascula Terman also launched a comprehensive digital effort to promote the meet-ups, which included full-scale social media outreach, photography and video content. When the time came to hash out some of the area’s most pressing issues—education, community engagement, social inclusion and collaboration—more than 11,500 residents participated in over 1,100 conversations across the city. On the digital side, nearly 9,000 conversations were tracked using the #onthetable2014 hashtag, which generated more than 16 million impressions. In fact, the hashtag became the number one local trending item on Twitter the day of the sit-downs. And all that media outreach paid off, with nearly 150 media placements earned over the course of the campaign. The partners&apos; efforts also won them a 2015 PR News Nonprofit PR Award. 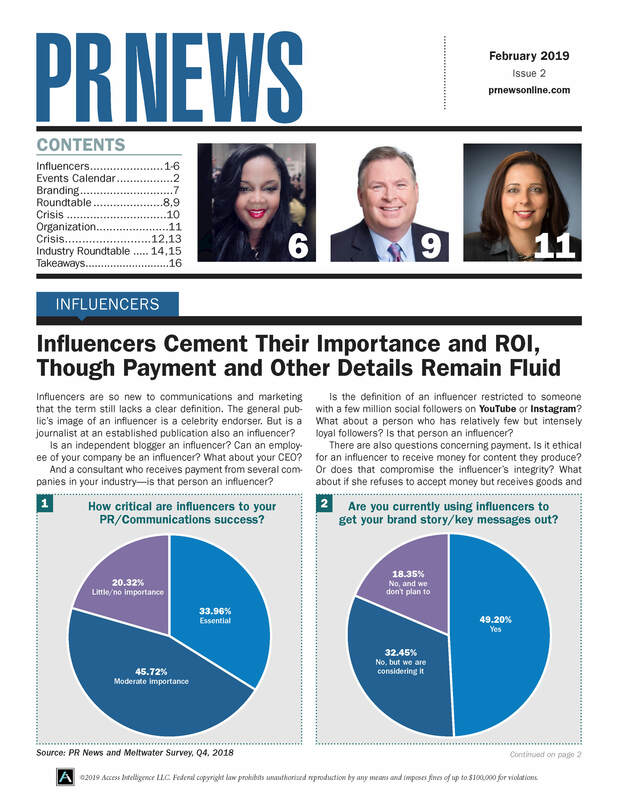 Find the right agency to fit your needs by searching PR News’ Firm Finder Platform today.